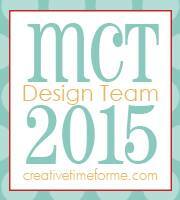 Today is the third day of sneaks for this months My Creative Time new release. If you have arrived from Laurie's blog, you are on the right track. If you would like to start from the beginning, click here. Today the design team is sneaking a new set of dies called "Witch Hat Topper Dies." This new treat topper die is so much fun! The sentiment is from yesterday's sneaked set and the banner is the smallest of the Sentiment Label Dies. OMG Miss Ruthie Your Treat Topper is WICKED Awesome!! Loving the Spooktacular colors...and you even found candies to match...WOW girl this sure makes for a FANGtastic Presentation! You so did a Super FaBOOlous Creative job!! YOU so ROCK!! This little die is darling! Love it! It’s just too cute! Such an adorable treat topper!! Fun idea! Polka dots! Awesome! Your showcase of this die is absolutely be-witching...and I now have a craving for double bubble gum! Cute topper...love the polka dots! Totally Adorable topper! LOVE the twine you added as well! Love the dots. The band with the twine looks great. I like your take on the topper with the sentiment banner and the twine bow on the hat. Great job. Great work, lots of fun! Darling project! 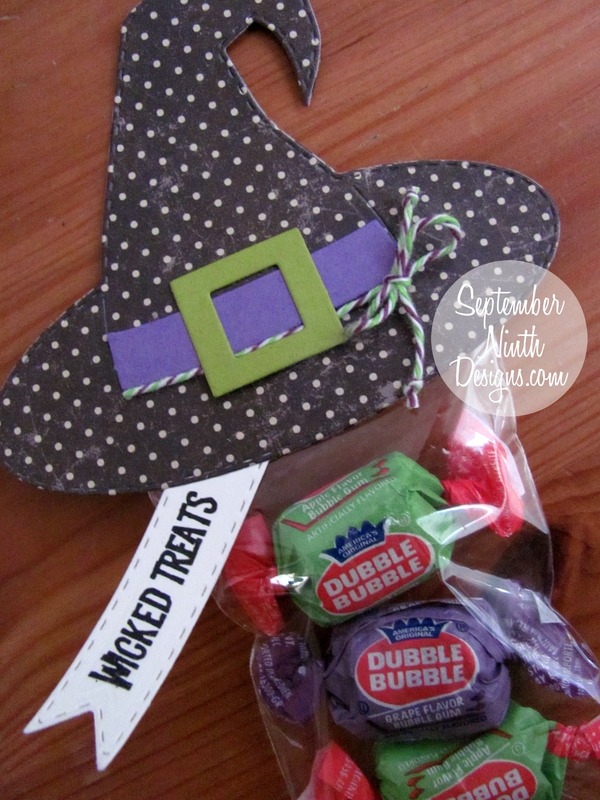 Love the polka dotted paper you used for the witch hat! Adorable and fun! Love the bow you added to the buckle and band. 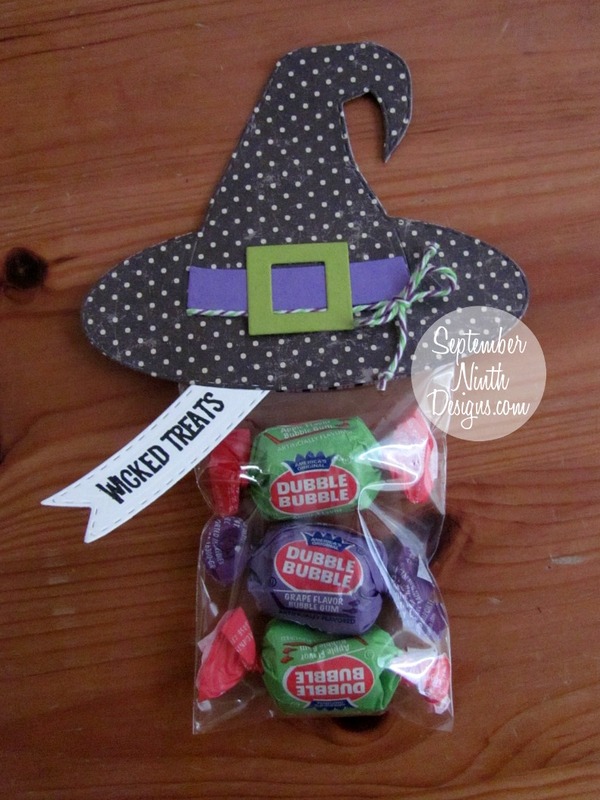 Cute treat bag topper! Love the polka dot witch hat!